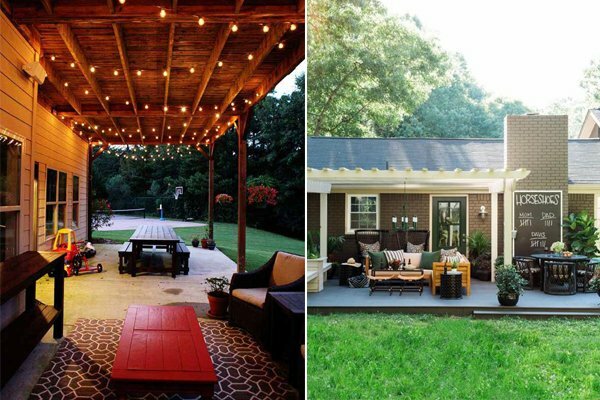 Summer is already here and those who have a patio, porch or a backyard of any sorts must be very excited for the sunny days and magical nights ahead! 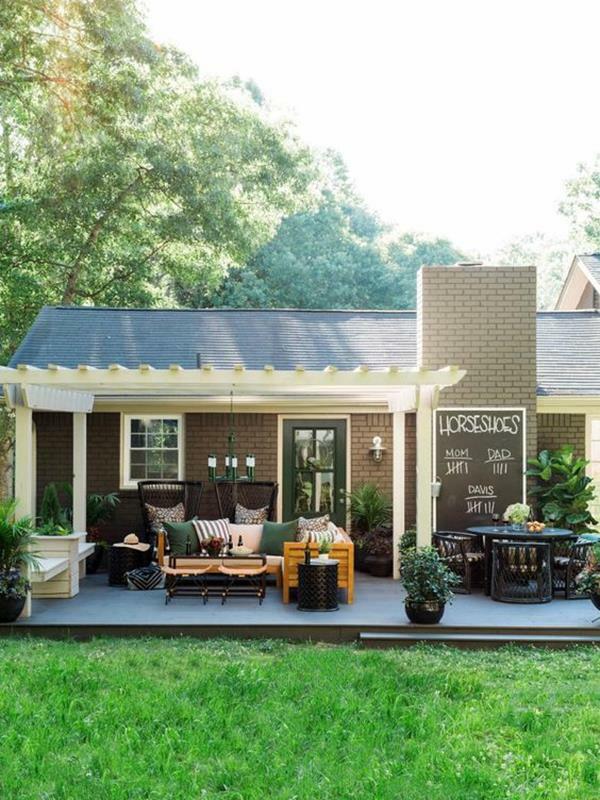 Whether you want to readjust, redecorate or simply just add a small touch to your patio or porch, we have so many ideas for you to think about! 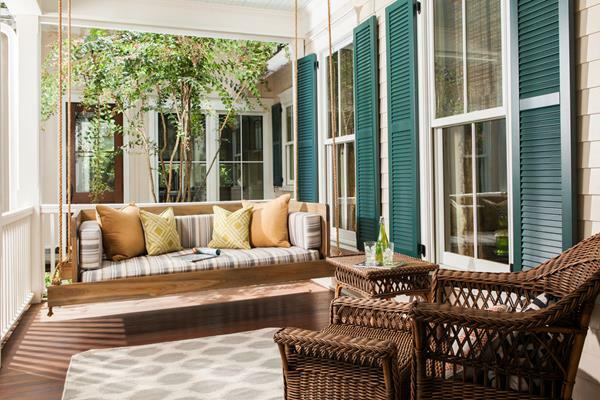 Since porches and patios are perfect for warm weather events, mini escapes or just relaxing, it is important to turn them – small or big – into an inviting, warm, and entertaining space. 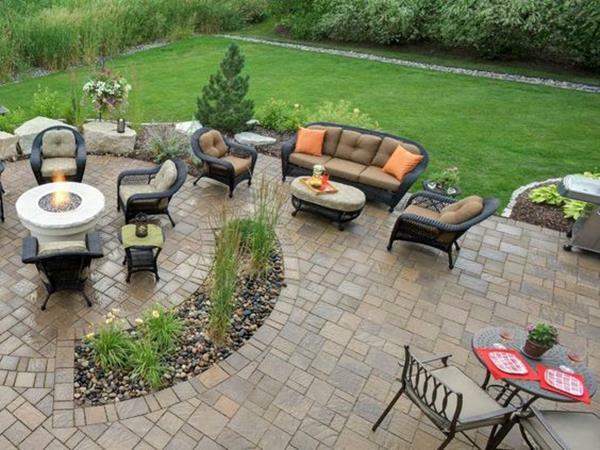 Accessories are the most important items for your patio, since these will create the ambience. 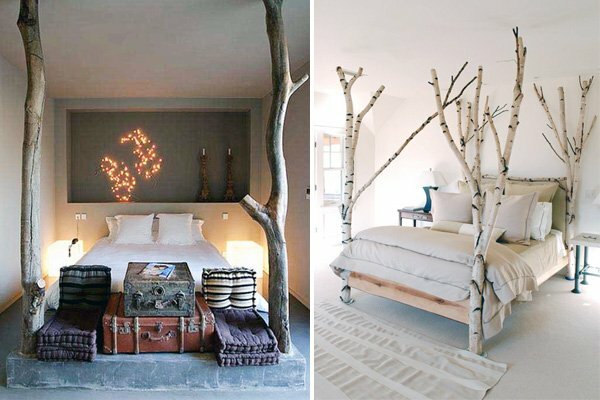 You should be able to feel escaped, relaxed, and you should be able to have fun while you’re out there. 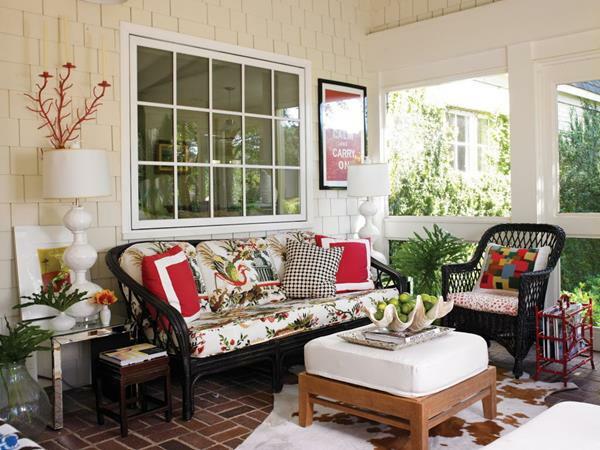 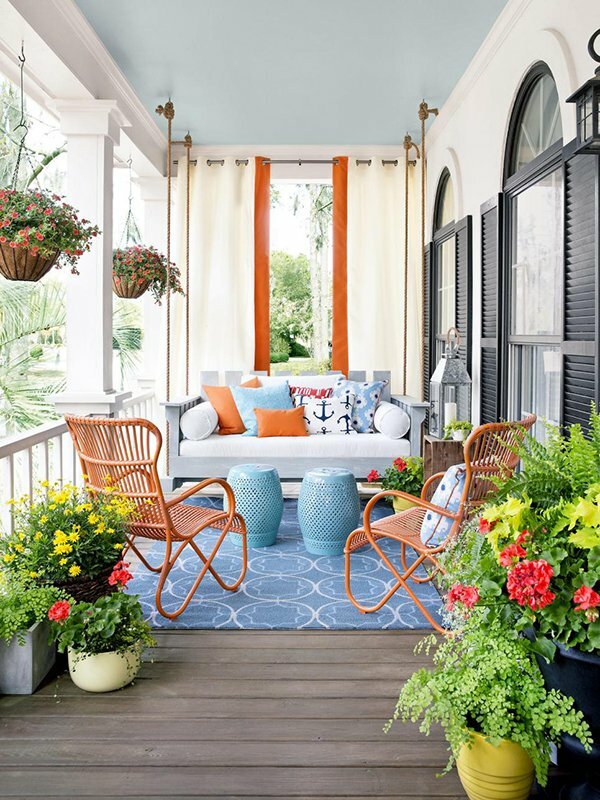 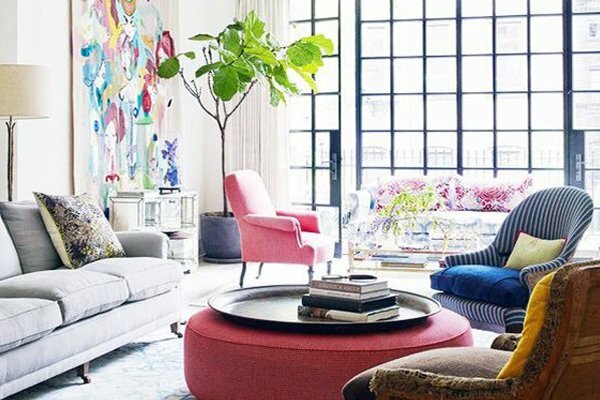 So pay attention to accessories since you need them to be very functional so that they won’t take up as much space, and opt for lighter colors – patios, porches and backyards are all about summer, and summer is all about bright and light colors. 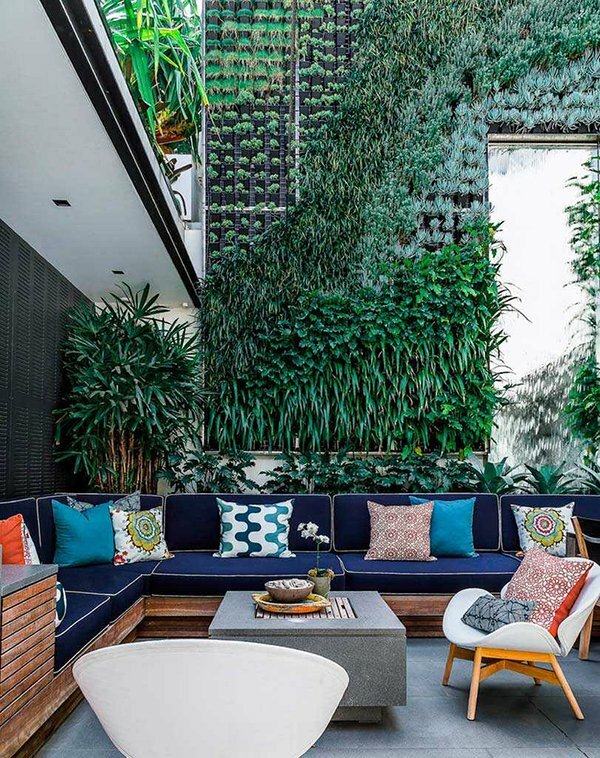 You can plant up a vertical garden if you do not have as much space, or to simply spice things up! 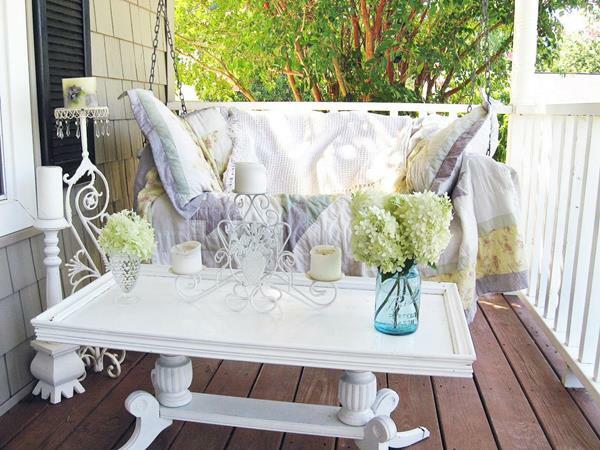 If you like having people over, do not directly opt for a bigger table and try to make as much use of space as you can. 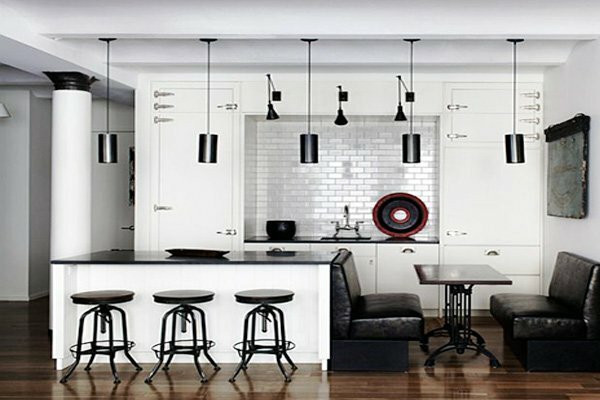 You can push together two square tables as needed, and use only one of them when you are alone or only with your family. 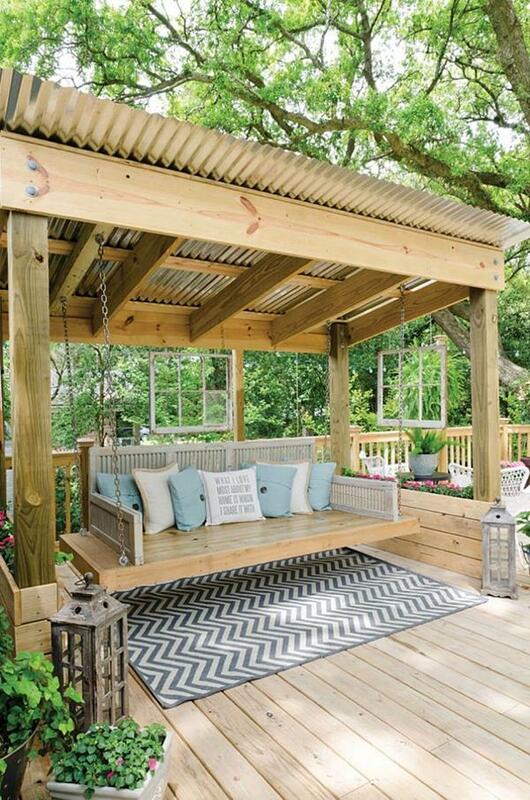 Another thing you can do is to opt for benches, you can never go wrong with them. 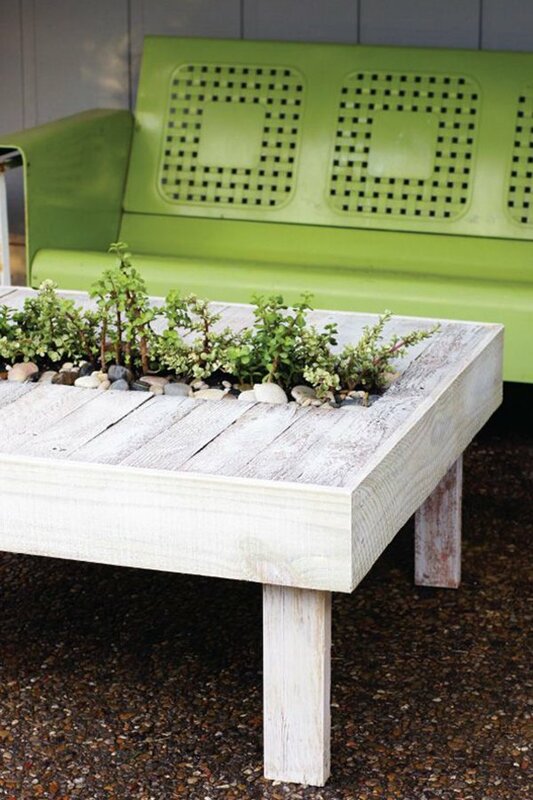 You can also design a DIY table where you can place your book or glass and also showcase the plants in the middle! 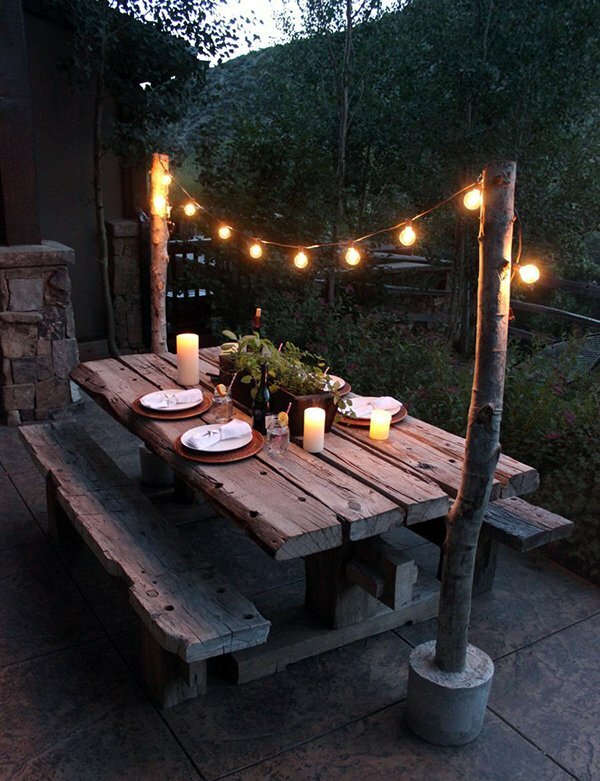 For those cozy nights out, go for softer lights such as warm white string lights or big pillar candles. 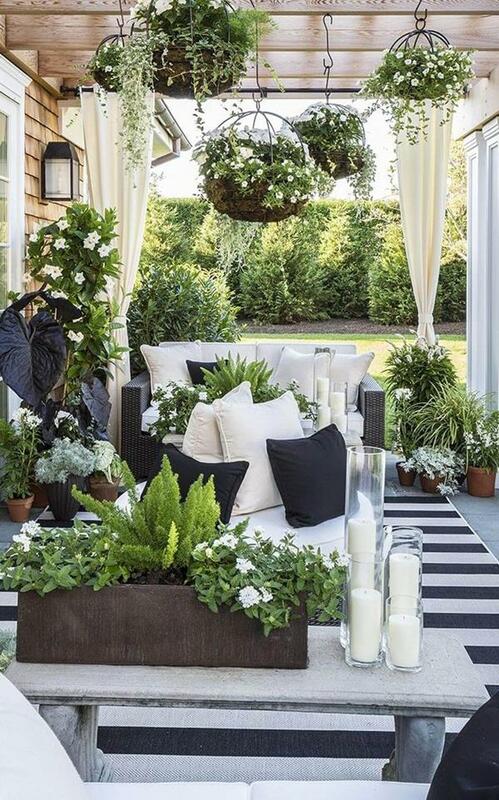 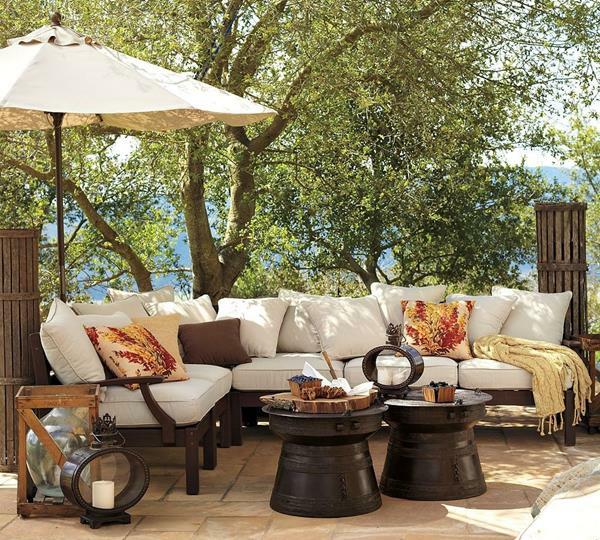 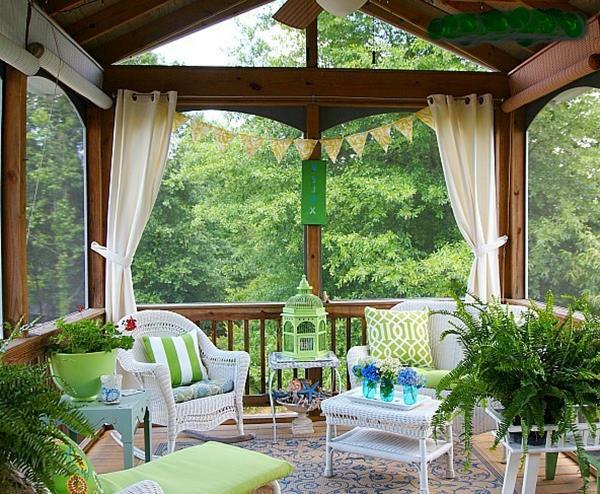 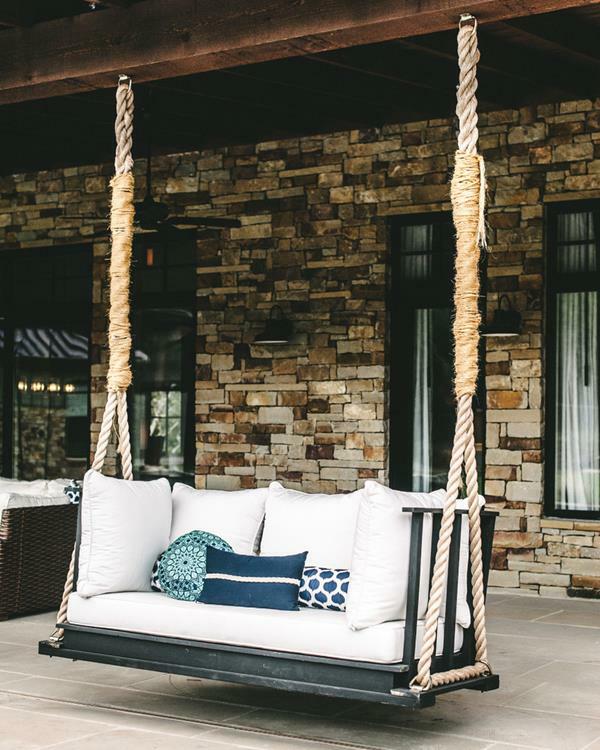 Try to create a cozy design by incorporating summer elements – plush, comfy faux-wicker seating, colorful throws and pillows, pergola coverings, umbrellas, fire pits, and plants, plants, plants… And do not forget the swings! 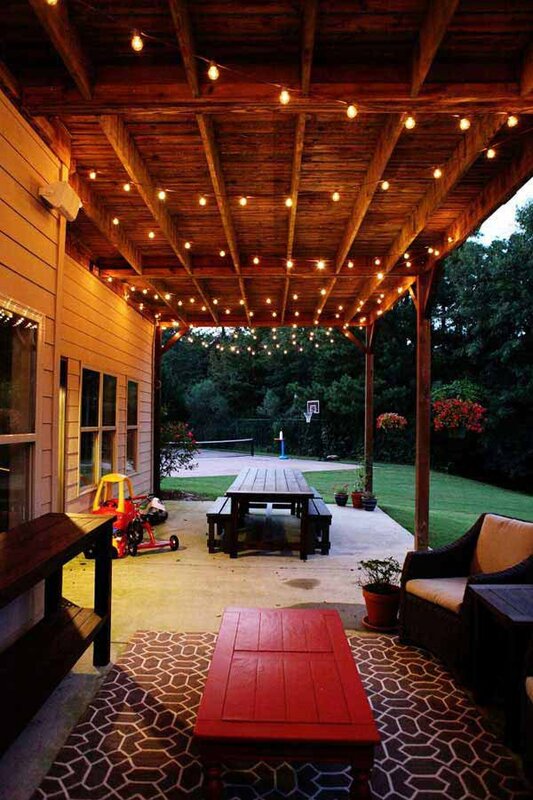 Make sure you put somewhere out there a porch swing to light up the mood! 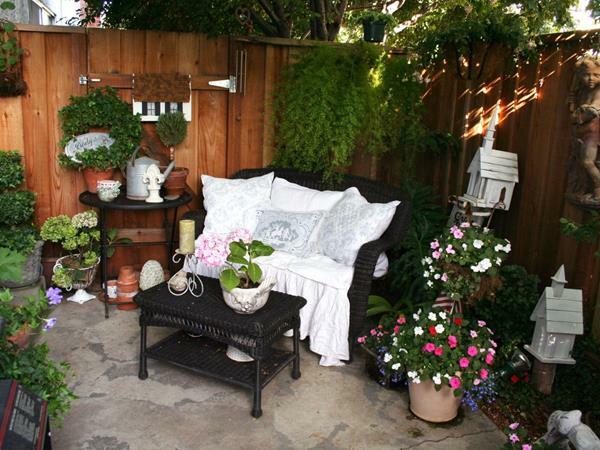 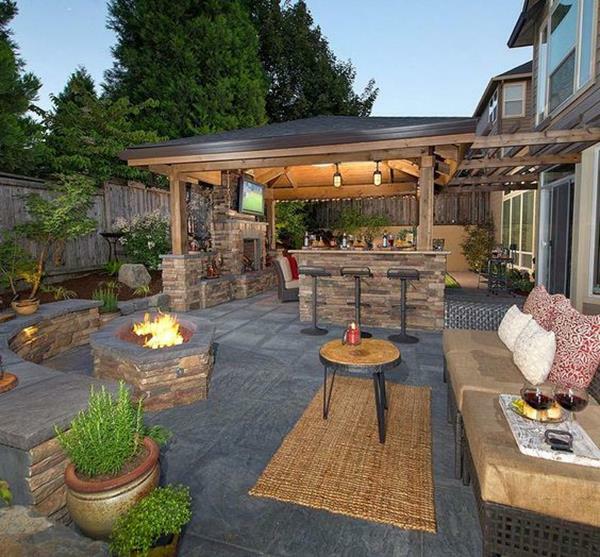 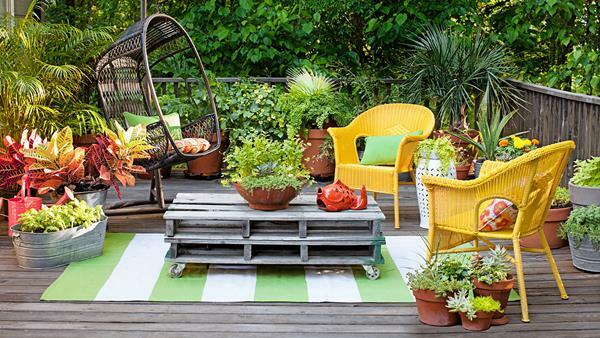 If you have been waiting for summer and want to turn that outdoor space into an oasis, take a look at these ideas below and remember to keep it fresh, bright, colorful, playful, and of course, stylish.